Swim Ireland Masters committee are delighted to announce a number of upcoming events for Masters swimmers and coaches. These are part of the Master Strategic Plan to support the development of Masters swimming and coaching in Ireland. Suitable for all level of competitive Masters swimmers, these clinics will be coached by regional development pathway coaches Mark Lapping and Sarah Fellner. 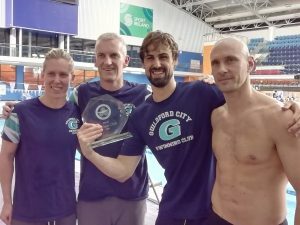 We are delighted to welcome Glen Christensen, Swedish Olympic swimmer and coach to Ireland on 3rd March 2019. I wasn’t able to go to the Swim Ireland Awards night in Ennistymon on Saturday but I see that Helen O’Leary won the Masters Outstanding Achievement Award. Helen, who now swims with NAC Masters, is a great supporter of Masters galas throughout Ireland and the UK and is a worthy recipient of the award. 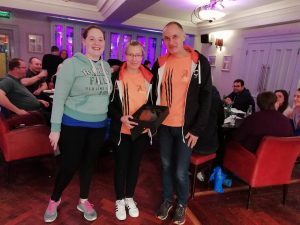 Aer Lingus Masters’ Charlotte Reid won the Open Water Swimmer of the year award and then, keeping it in the Masters family, NAC Masters’ Declan Harte took over the Presidency of Swim Ireland. Congratulations to all. For relay events, please enter directly with the Mallow organisers. Here are the final results for the Celtic masters which ran this weekend. The winning overseas team was Guildford City and the winning team outright was Kilkenny. Congratulations one and all.